Jaded Blossom: Hero in Disguise! Barb here from BugBites with a super cute treat project using that retro candy, Chuckles! 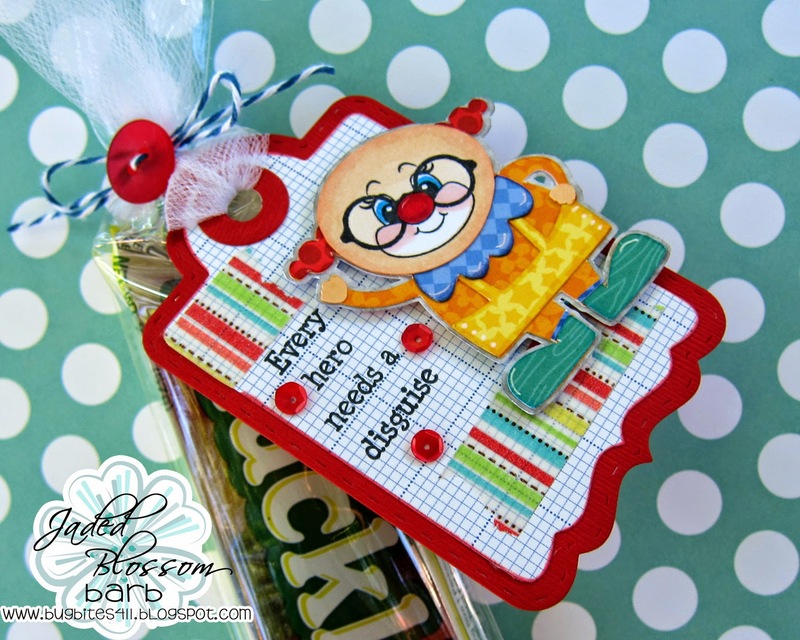 When I hear Chuckles, I think of clowns, so I pieced together this cute clown found here. 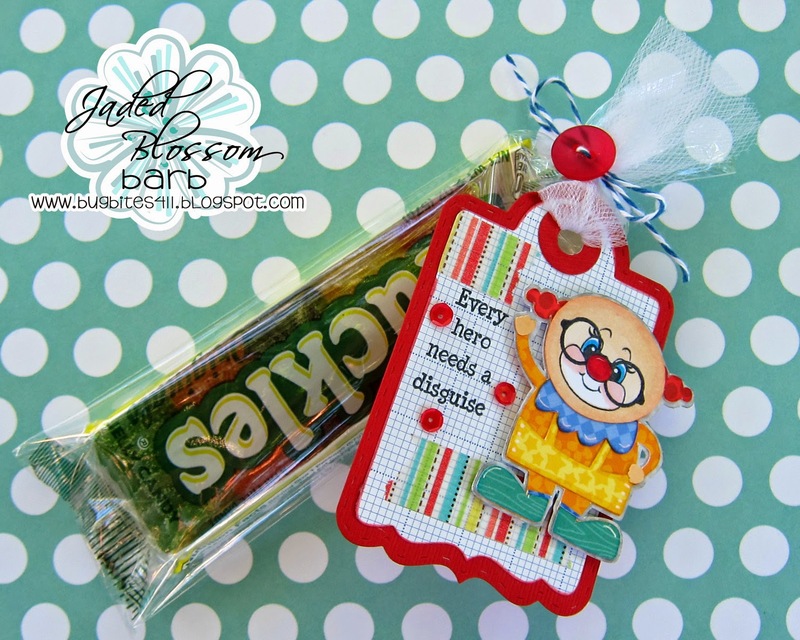 The Jaded Blossom Treat Tag die was the base for my clown to rest upon. The sentiment is from the Jaded Blossom Super Hero Stamp set. Who would have thought a stamp from a Super Hero set would work with a clown...LOL! I added some sparkle and washi tape for that whimsical look you would expect from a clown. Love that PKS face stamp as well. I put my candies into a treat bag found here and tied it up with some twine and a button. It's ready to give and make someone smile. I love that tag die!!! Totally cute treat! So cute and yes that sentiment couldn't be anymore perfect. Awesome job!! !